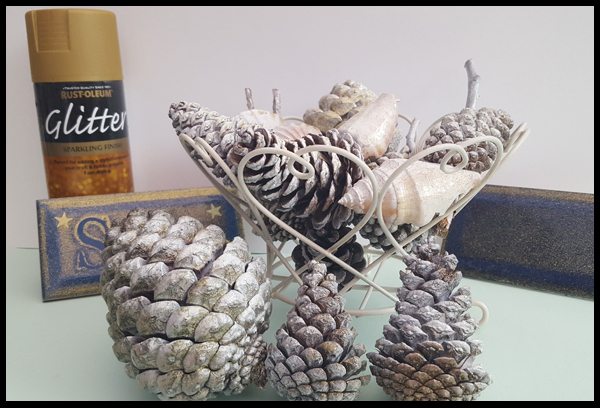 Over the weekend I made a very quick and easy winter / Christmas table decoration with materials sourced from our winter walks. 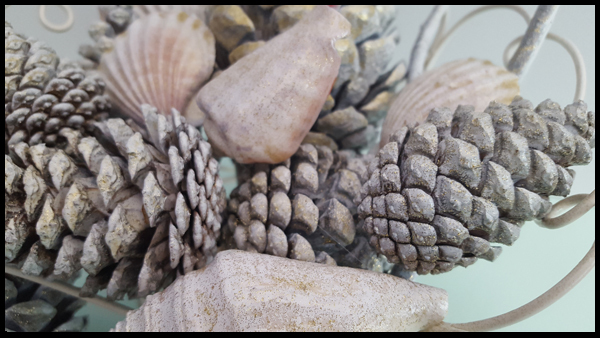 * Shells - I have a very large selection of shells due to living a couple of miles away from the beach. 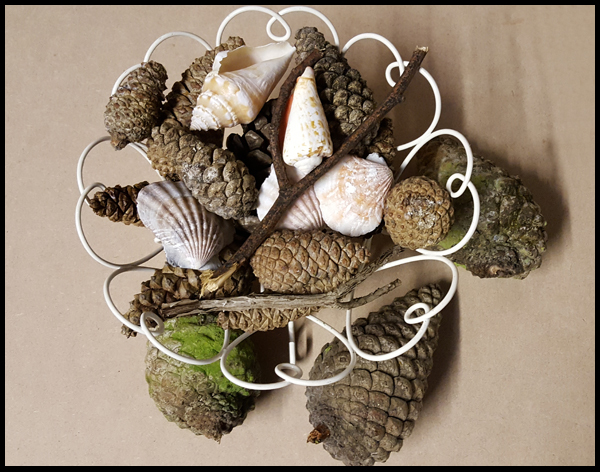 * Cones - As it's winter, these can be found everywhere and we often walk through our local cemetery picking up cones of all shapes and sizes. * Sticks - I didn't realise how lovely these look once painted! 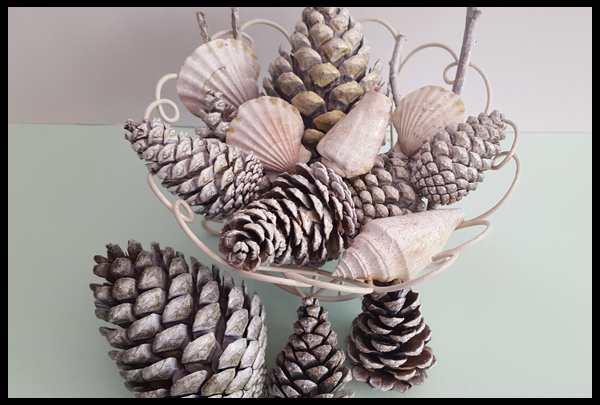 My holder was picked up for £1 at the local charity store so I had everything ready to give my table decorations a Christmas / winter feel, but first I needed to 'pop open' my pine cones. These were put in the oven on 200 for around 20 minutes, but I kept checking on them every 5 minutes as I wasn't completely comfortable with having them in the cooker in the first place. But the smell was fabulous! I left these for a couple of days as it makes it easier to get the loose pieces out once baked. 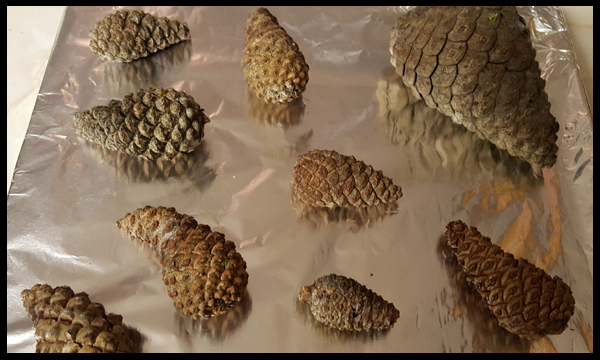 I now seem to be 'cooking' pine cones weekly, and there was me thinking I couldn't bake! I sprayed all the natural materials white, which instantly transformed everything. Once dry everything was ready to have an extra added sparkle to it. The gold glitter spray is designed to give a finishing touch to a project and not replace the original colour, my cones are still white but now have gold specs on them which glisten in the sunlight and sparkle lovely on the dining table. 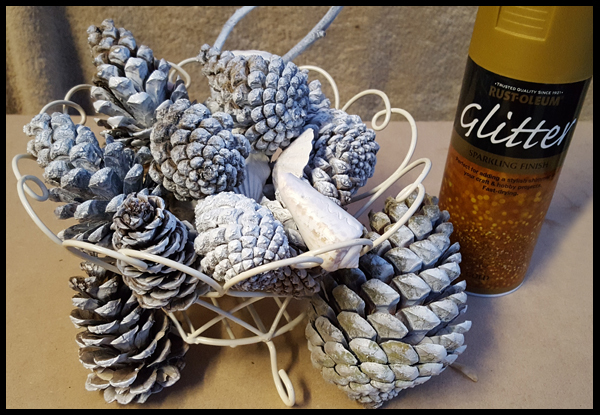 Using glitter spray is a cleaner way of using glitter, it's contained onto the item you are spraying rather than having glitter everywhere including your face for days on end. A perfect way to add an extra sparkle to Christmas. Rust-oleum Glitter spray featured was received free of charge.